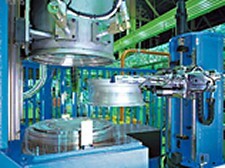 Different wheel sizes can be tested through mix-flow production. After a wheel has been injected with a gas containing helium up to a specified pressure, the Helium leak tester uses mass spectrometry to measure leakage into the chamber and then determines whether that leakage is under or above a leakage threshold. The automatic wheel size detection feature gives you more freedom in selecting manufacturing schemes. 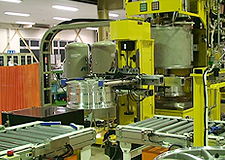 The Helium leak tester maintains its accuracy by running a master check at specified intervals to ensure that all of its equipment is functioning properly.